Elliotte Friedman: The New Jersey Devils put goaltender Eddie Lack on waivers. 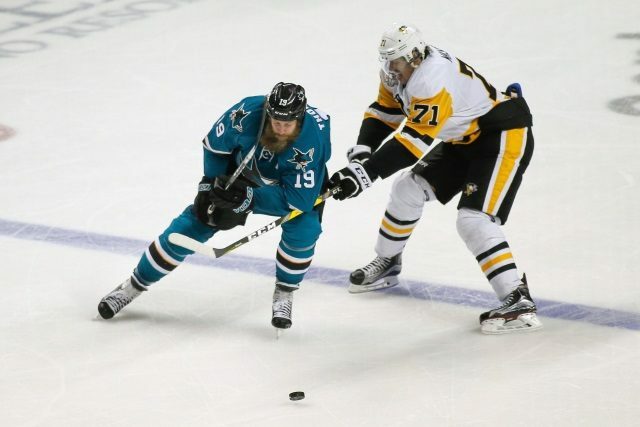 Curtis Pashelka of The Mercury News: San Jose Sharks forward Joe Thornton will play in his 1,500th NHL game tonight. Thornton will be the 19th player to play in 1,500 games. TVA Sports: (through google translate) There has already been the one Uber video of the Ottawa Senators out there, but Renaud Lavoie reports there may even be a more compromising video. “Have we seen everything? What I am told is that no. There is a part that is even more compromising, “he said Wednesday on TVA Sports. Louis Jean reports that Senators assistant coach Martin Raymond has really been shaken by the situation. “Martin Raymond is doomed, he has been humiliated. Will he stay in hockey? That, I do not know, but the damage has been done, “added Michel Bergeron. Renaud Lavoie: Have been told that many of the players who were part of the Uber video are looking at their legal options against the company.